In addition to the flagship GNCCF in Manchester, now in its 11th year, 2018 saw the launch of two new summer shows: GNCCF Newcastle, as part of the Great Exhibition of the North and GNCCF Sheffield. 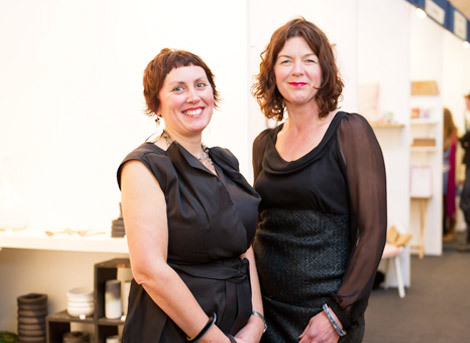 Great Northern Events NW Ltd is a not-for-profit organisation, founded by Ann-Marie Franey & Angela Mann to champion high quality and innovative contemporary craft in the North, give designer-makers a platform to sell their work, and to engage new audiences of buyers and collectors. The multi award-winning GNCCF is one of the leading selling events for contemporary craft in the UK, attracting over 6000 visitors and showcaseing work from over 150 selected designer–makers: from contemporary ceramicists, jewellers, furniture makers and printmakers, to artists working with glass, paper and textiles. The GNCCF champions new and established makers, from emerging graduates to critically acclaimed makers. Visitors can chat to the makers and buy or commission work directly from them. Since 2008, when Thomas Heatherwick opened the first show, the GNCCF has become a much-anticipated highlight in the North's cultural calendar. GNCCF Manchester is a not for profit event, supported by Arts Council England through the National Lottery Grant for the Arts. GNCCF Sheffield took place in July 2018 and was delivered in partnership with Making Ways. It featured over 75 selected exhibitors from across the UK. We are currently in discussions to bring GNCCF Sheffield back to the city in 2019. If you may be interested in applying for this show please email ann-marie@greatnorthernevents.co.uk. Once the show is confirmed we will email you details of the show and how to apply. GNCCF Newcastle was part of the Great Exhibition of the North, featuring 50 selected designer-makers from the region. We are currently in discussions to bring GNCCF Newcastle back to the city in 2019. The LNCCF is a smaller selected spin-off retail event which takes place in Spring and Christmas at Altrincham Town Hall. The GNCCFLive is our outreach work which delivers high quality craft workshops led by GNCCF exhibitors to people from disadvatanged backgrounds living in Gorton. It is delivered in partnership with the charity The Oasis Centre. GNE run Maker Development Workshops and Ann-Marie Franey and Angela Mann are regularly invited to speak at colleges or to groups of makers. Our presentations and workshops can be tailored to suit your requirements. We have a vast knowledge of makers, both new and established, and offer a consultancy service for shops, galleries and museums on suitable work to stock for permanent retail showcases and temporary exhibitions.